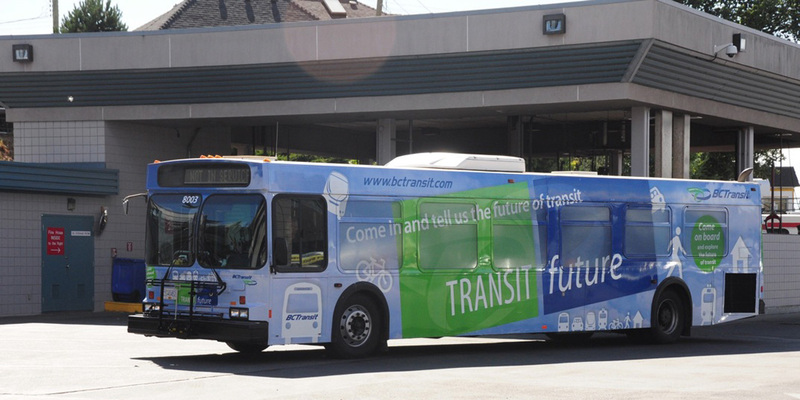 BC Transit | Transit Future Bus | André & Associates Interpretation and Design Ltd. Interpretive Planning and Conceptual Design, Design Development, Graphic Design and Installation. 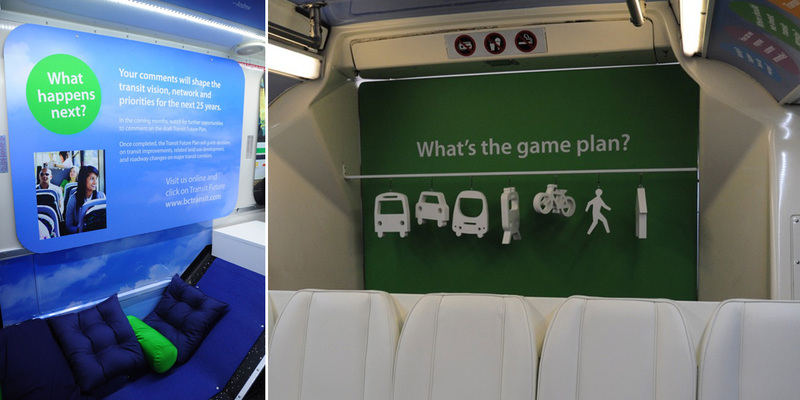 We designed and fabricated a traveling exhibit in the interior of a decommissioned BC Transit bus in only 6 weeks! 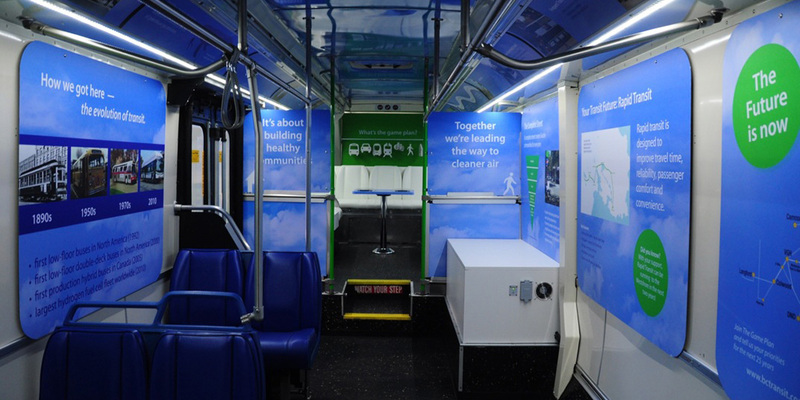 "Thank you for all the work that everyone has done for the Transit Future Bus. Looks great!" 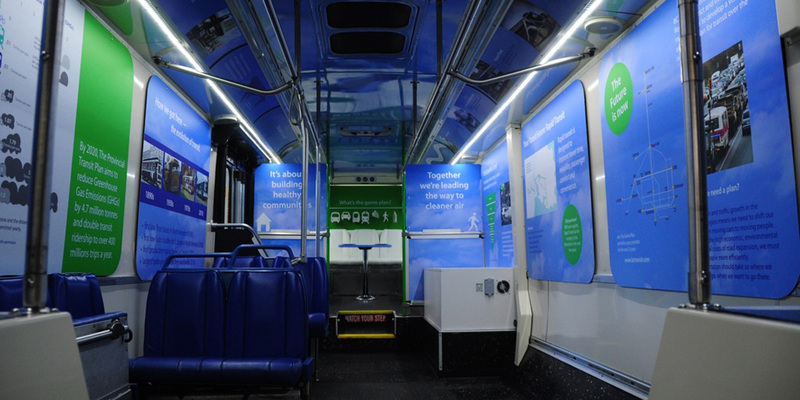 The 40-foot bus was gutted and transformed into a traveling open house with information panels, an interactive online game and children’s interactive area. 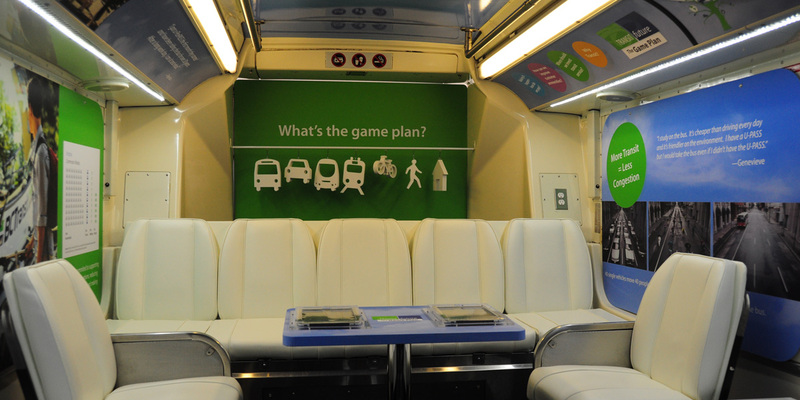 The focus of the bus is to travel throughout British Columbia to educate people and gather input and suggestions from the public regarding the future of public transit in British Columbia.